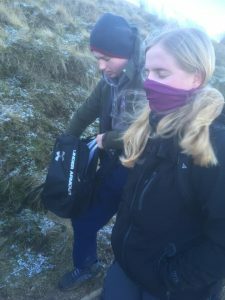 Students studying Outdoor Sports took part in a hike from Edale up to Mam Tor as part of their course. They took part in the hike to equip them with leadership, orienteering and outdoor adventure skills that will enable them to progress in a number of different careers, including Activity Leader, Outdoor Sports Instructor or a Travel Guide. This is just one of the activities that they take part in on their course, which also cover skills such as skiing, kayaking, orienteering, First Aid and, scuba diving, paddleboarding, powerboating and climbing. With access to the best landscapes that the Peak District has to offer, experienced tutors who have worked in the industry for a number of years and jobs in tourism and outdoor adventure across the area, there’s no better place to study Outdoor Sports. Find out more about our Outdoor Sports courses here.